Norwegian Cruise Line has revealed selections from the fleet’s fall/winter 2019/20 deployment, which will feature a plethora of warm weather escapes to tropical paradises in the Caribbean, Bahamas & Florida and South America, as well as fall foliage sailings in Canada & New England. 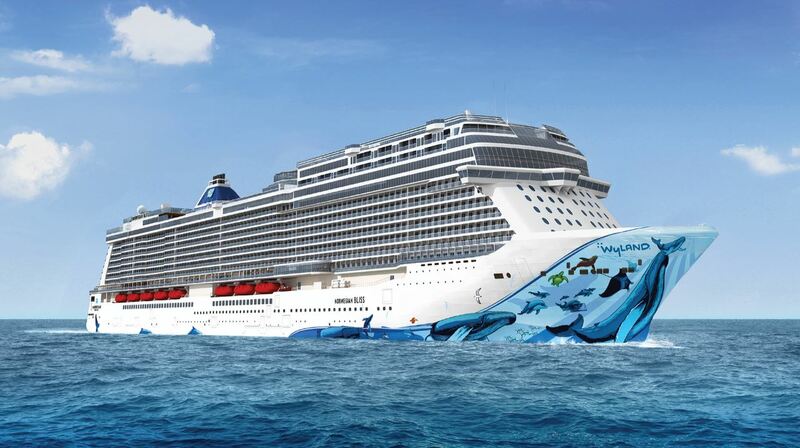 With Norwegian Bliss offering sailings to the Bahamas from New York, Norwegian Getaway cruising to the Western Caribbean from New Orleans, Norwegian Breakaway sailing to the Caribbean from Port Canaveral and Norwegian Epic cruising to the Southern Caribbean from San Juan, most of the brand’s largest and newest vessels will each call a new city home in 2019. The all-new Norwegian Bliss will lead the youngest fleet sailing to the Bahamas from the Big Apple for the winter 2019/20 season. Norwegian Bliss will homeport in the heart of Manhattan beginning on November 24, 2019 and set sail each Sunday to the warm turquoise waters of the Bahamas & Florida, bringing guests the best of beaches, theme parks and sunshine on seven and eight-day cruises. Ports of call will include Orlando and the Beaches (Port Canaveral), Norwegian’s private island Great Stirrup Cay and the popular tropical island of Nassau in the Bahamas. Custom built for the ultimate cruising experience, Norwegian Bliss offers guests an array of 27 different dining options, exhilarating activities like a two-story electric racetrack, and show stopping performances from Broadway’s best including Jersey Boys. For a complete overview of the exciting features onboard Norwegian Bliss visit “Norwegian Cruise Line reveals new features for Norwegian Bliss“. Norwegian Gem will kick off the 2019 holiday season with an eight-day Bahamas & Florida cruise from New York on December 13, 2019. This popular family-friendly itinerary will include an overnight stay and two days in Orlando and the Beaches (Port Canaveral), a day at Norwegian’s private island Great Stirrup Cay and a call in Nassau. Those looking for a quick winter getaway to ease into the New Year over a long holiday weekend can sail away on Norwegian Dawn from Tampa for a five-day Bahamas & Florida cruise departing January 16, 2020. This one-of-a-kind itinerary will feature sun drenched ports and white sand beaches, with calls in Key West, Nassau and Norwegian’s Great Stirrup Cay. On December 1, 2019, Norwegian Bliss will begin a 12-day journey to the Southern Caribbean, calling on the region’s most iconic destinations including San Juan, St. Thomas, Basseterre, Bridgetown, Castries and St. John’s. Norwegian Bliss will also offer a 14-day Southern Caribbean cruise on January 19, 2020 that will additionally call in Tortola and Philipsburg. Guests looking to cruise to the tropical rainforests and stunning dive sites of the Western Caribbean on an extended 14-day vacation at sea aboard Norwegian Bliss have two departure dates to choose from: January 5 and February 2, 2020. With calls in Orlando & the Beaches (Port Canaveral), Great Stirrup Cay, Ocho Rios, George Town, Roatán, Harvest Caye, Costa Maya and Cozumel, this spectacular itinerary includes it all, from theme parks to Mayan ruins. 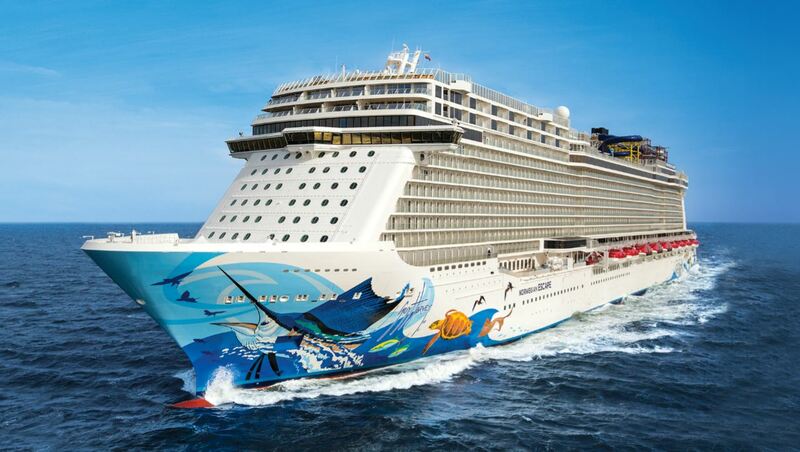 Guests cruising from New Orleans will have the opportunity to experience Norwegian Getaway during a mix of seven, nine and 12-day cruises to the Western Caribbean beginning November 8, 2019. After fun in the French Quarter, guests can hop aboard the youngest and largest ship sailing from New Orleans for a journey to sun and sand with calls on Costa Maya, Harvest Caye, Roatán, George Town and Ocho Rios on her nine-day voyages. With her mermaid hull guiding the way, Norwegian Getaway’s seven-day Western Caribbean cruises will visit Cozumel and Costa Maya, Roatán, and Harvest Caye. Those looking to explore deeper into the wonders of the Western Caribbean can opt for Norwegian Getaway’s 12-day cruise, which will feature calls on Cozumel and Costa Maya, George Town and Ocho Rios, Puerto Limon, Roatán, and Harvest Caye. For the first time ever, guests will have the opportunity to experience a cruise from San Juan aboard Norwegian Epic. 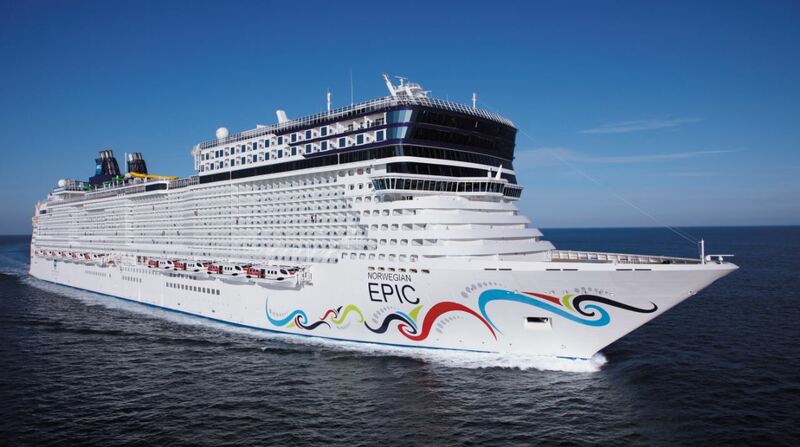 From December 8 through March 15, Norwegian Epic will sail the Southern Caribbean on seven-day voyages with calls featuring sapphire blue waters and warm winter sun in Oranjestad, Willemstad, Kralendijk, Castries and Basseterre as well as Bridgetown, St. John’s, Philipsburg and St. Thomas on 10 and 11-day cruises. Following her year and a half stay in New York, Norwegian Escape will return to Miami on November 23, 2019 and sail seven-day Western Caribbean cruises through April 18, 2020. The 4,200 guest Norwegian Escape features 27 dining options, 21 bars and lounges, as well as the largest Aqua Park and Ropes Course at sea. The ship’s seven-day Western Caribbean cruises will visit Cozumel and Costa Maya, Roatán, and Harvest Caye. Harvest Caye is the new Belizean port-of-call that features the only cruise ship pier in Belize, a two-story Flighthouse with zip lines and suspension bridges, a street-style local artisan market and opportunities for guests to visit mainland Belize on excursions to the Mayan Ruins, rafting and more. For a closer look at Norwegian’s Western Caribbean paradise destination visit “Harvest Caye – welcome to paradise“. Norwegian Breakaway will extend her stay in the Sunshine State by repositioning from Miami to Port Canaveral, arriving on November 23, 2019. As one of the largest ships to homeport in Port Canaveral, Norwegian Breakaway will spend her winter 2019/20 season sailing seven-day Eastern and Western Caribbean itineraries every Saturday. The perfect vacation for the young and young at heart, guests can experience the bustling theme parks and excitement of Orlando then head to the coast for a relaxing cruise vacation. The ship’s Western Caribbean cruises will offer guests an array of beautiful, tropical destinations including Falmouth, George Town and Cozumel. During Norwegian Breakaway’s Eastern Caribbean sailings, guests will cruise to some of the most popular ports of call in the region including St. Thomas, Tortola and Norwegian’s private island Great Stirrup Cay in the Bahamas. 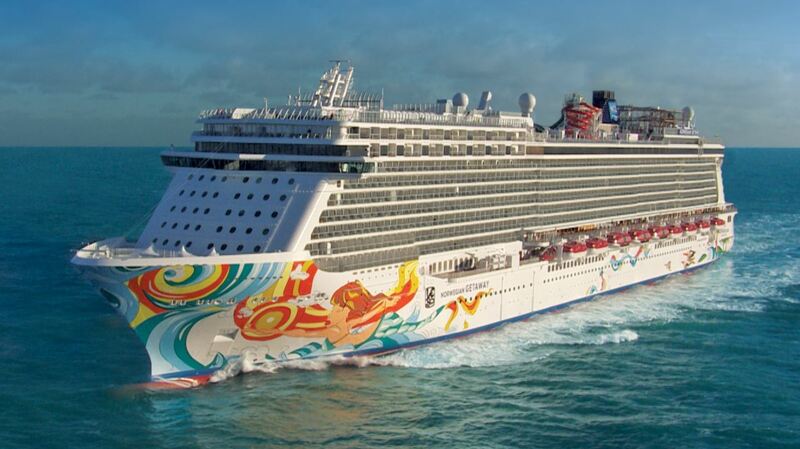 Norwegian Dawn will round-out the line’s deployment in the Sunshine State with her return to Tampa, with cruises departing from the west coast of the peninsula from November 24, 2019 through March 22, 2020. The renovated Norwegian Dawn will sail primarily seven-day Western Caribbean cruises where guests will be able to explore a variety of ports-of-call including Roatán, Cozumel, Costa Maya and Harvest Caye in Belize. Norwegian Gem will return to the Big Apple for her winter 2019 season from November 22, 2019 to March 16, 2020. Norwegian Gem will sail a variety of 10 and 11-day Southern Caribbean itineraries and one 14-day cruise from New York with ports-of-call that will include sun-kissed destinations including Basseterre, St. John’s, St. Thomas and Castries. Norwegian Escape’s year and a half stay in the Big Apple would not be complete without her venturing through the fall foliage and the quintessential colonial sites in Canada & New England. Throughout the month of September 2019, Norwegian Escape will offer four roundtrip seven-day cruises from Manhattan to the picturesque Canadian coastline, with calls in Portland and Bar Harbor, Saint John and Halifax. Norwegian Dawn and Norwegian Gem, who received extensive bow to stern renovations as a part of the Norwegian Edge program, will both offer a selection of bucket-list cruises through the Panama Canal. 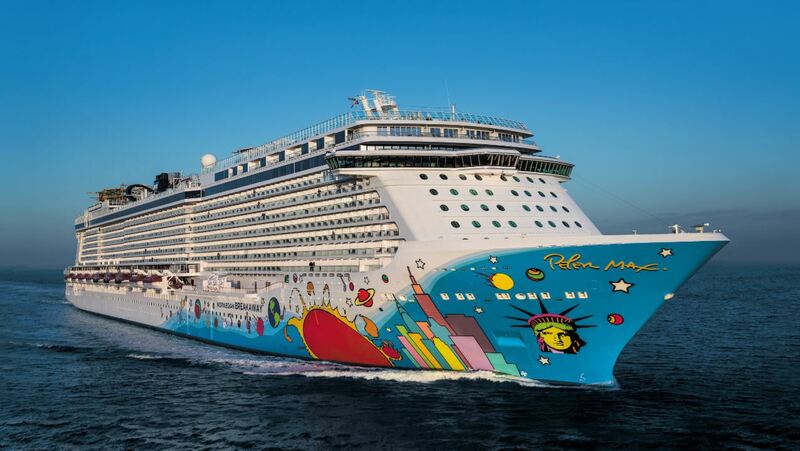 Norwegian Gem will cruise from New York to San Francisco on a 20-day journey departing on January 4, 2020, and then back from the Bay City on a 21-day cruise to the Big Apple departing on January 24. Along these incredible coast-to-coast voyages, guests will experience the sun and fun of the Caribbean with stops in Curacao and Aruba, the vibrant culture and cuisine of South America in Colombia, the adventure and eco-wonders of Central America with calls in Costa Rica, Nicaragua and Guatemala, the warm hospitality of Mexico and the fun and fare of Southern California. Norwegian Dawn will sail a one-of-a-kind 15-day cruise from New York to Tampa to the Panama Canal, departing on November 9, 2019. This unique open jaw sailing will feature calls on Willemstad, Oranjestad, Santa Marta and Cartagena in Colombia, a daytime transit of the Panama Canal followed by calls in Puerto Limon, Roatán, Harvest Caye and Costa Maya. Norwegian Dawn will also sail a 14-day roundtrip Panama Canal cruise from Tampa departing on December 1, 2019, with stops in some of the most popular destinations in the Caribbean and Central America including George Town, Ocho Rios, Cartagena and Puerto Limon in Costa Rica. Guests looking to explore the stunning beauty, vibrant culture and adventure of South America can do so on the newer and larger Norwegian Star, which replaces Norwegian Sun, beginning December 2019. Norwegian Star will sail South America for the winter season in 2019 and 2020, offering 14-day sailings from Santiago (San Antonio), Chile and Buenos Aires in Argentina. The Eastbound itineraries depart from Santiago on December 21, January 18 and February 15, while the Westbound depart from Buenos Aires on January 4, February 1 and February 29, 2020. These spectacular journeys will offer guests jaw-dropping scenery, from volcanos to alpine lakes, waterfalls and glaciers to wildlife viewing, ancient cave paintings and more. During these bucket list cruises, guests will also sail the Patagonic Channels, majestic Chilean Fjords, the famous Strait of Magellan, Beagle Channel, Canal Moraleda and a bucket list sail around Cape Horn. Previous Het STAR WARS seizoen is terug in Disneyland Paris!